One of the children is an unidentified eight-year-old boy who is possibly a foreigner. FIVE CHILDREN ARE fighting for their lives after the truck attack in Nice, including an unidentified eight-year-old boy who is possibly a foreigner, a hospital spokeswoman has said. 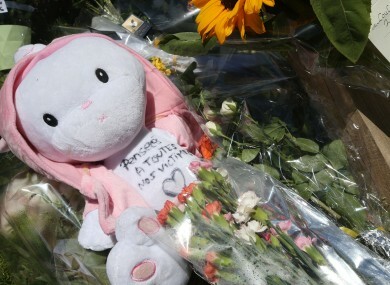 The children were being treated at the Fondation Lenval paediatric hospital in the French Riviera city, where a Tunisian drove a truck through a Bastille day crowd on Thursday, killing 84. Ten children and teenagers were among the dead. Lenval spokeswoman Stephanie Simpson said “five children are still in critical condition and one child has stabilised”, adding the hospital had received 30 children the night of the attack. She said the youngest to be treated at Lenval was six months old, with most of the children being treated for head trauma and fractures. “We are used to treating lots of children, what has been difficult to manage is the psychological aspect,” Simpson said. A team of trauma counsellors has been working at the hospital, seeing over 50 families since the attack. French-Tunisian Mohamed Lahouaiej-Bouhlel, 31, smashed a 19-tonne truck into a packed crowd just as a fireworks display was ending. The Islamic State group, which claimed the November carnage in Paris that killed 130 people, said one of its “soldiers” carried out the attack in Nice “in response to calls to target nations of coalition states that are fighting (IS)”. Email “Five children fighting for their lives after truck attack in Nice”. Feedback on “Five children fighting for their lives after truck attack in Nice”.